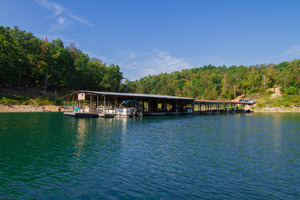 A good dock is the gateway to all water recreation. 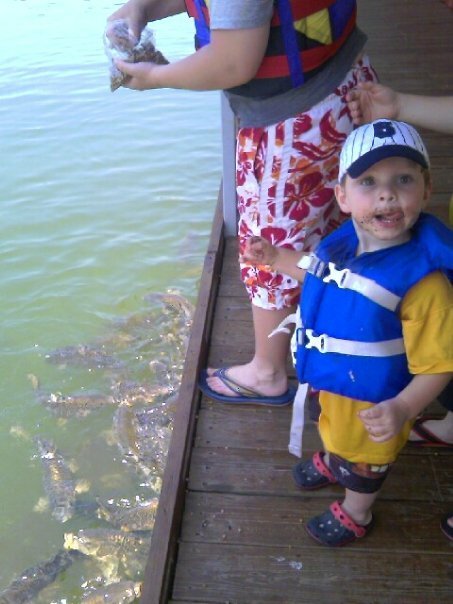 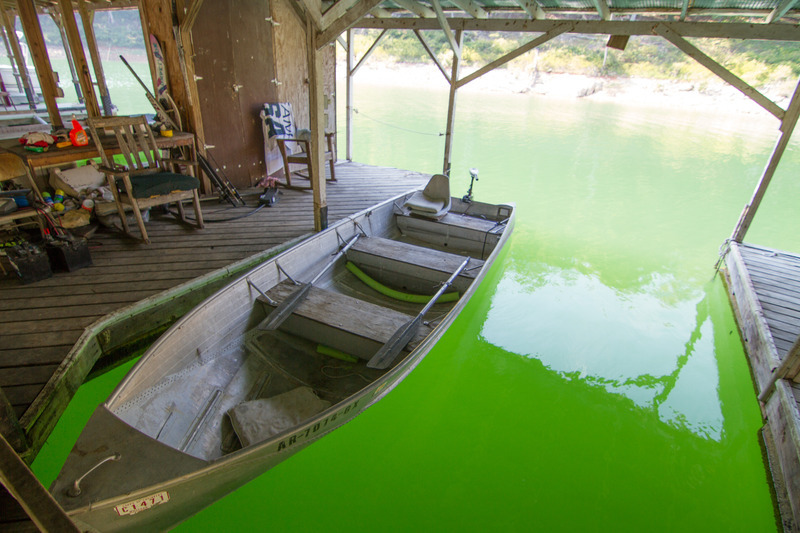 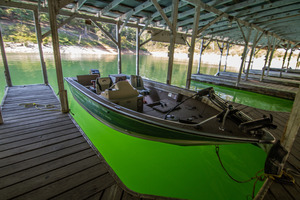 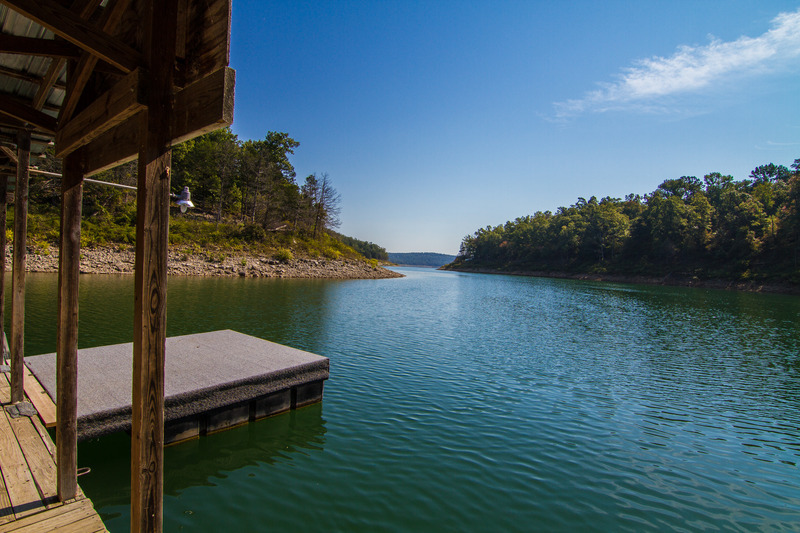 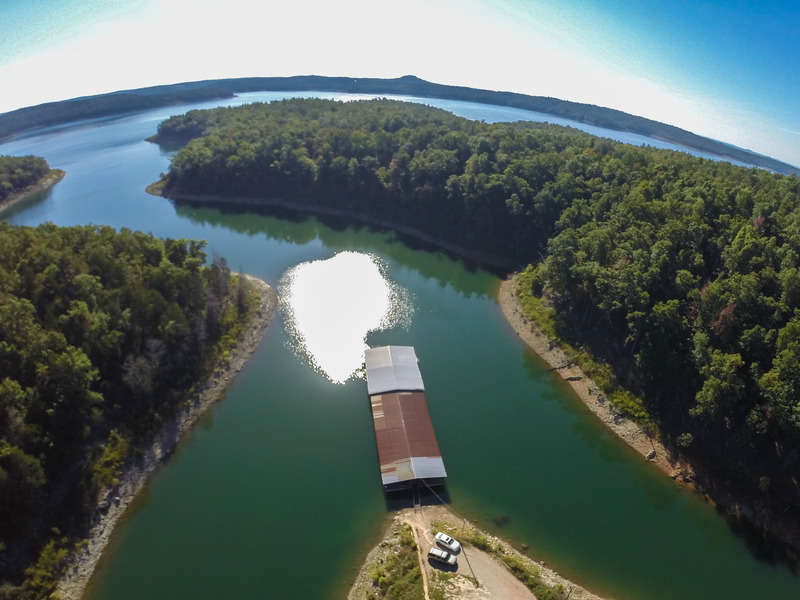 Our dock is located in a secluded cove with some of the best fishing, right off our dock! There are 110v electrical outlets for charging batteries at each stall, and a fish cleaning station with water. You can come and go 24 hours a day, which is important to night fishermen. 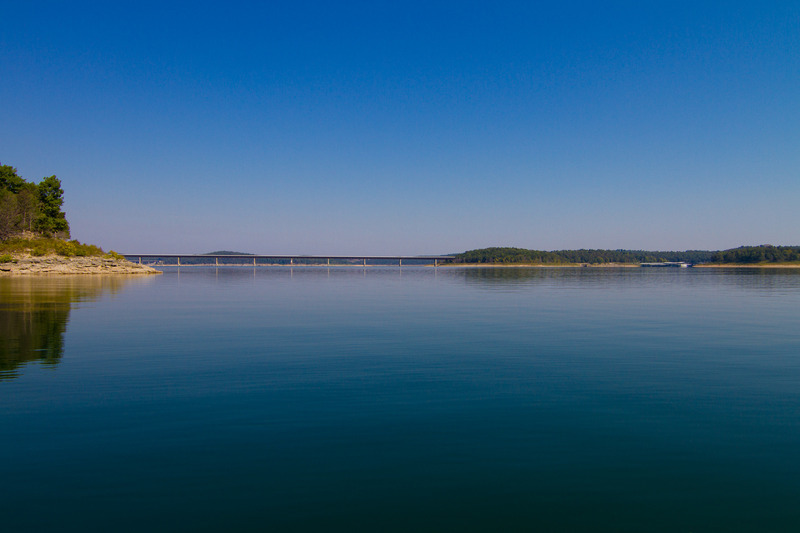 When winds come up and swells develop, we don't get rough water. 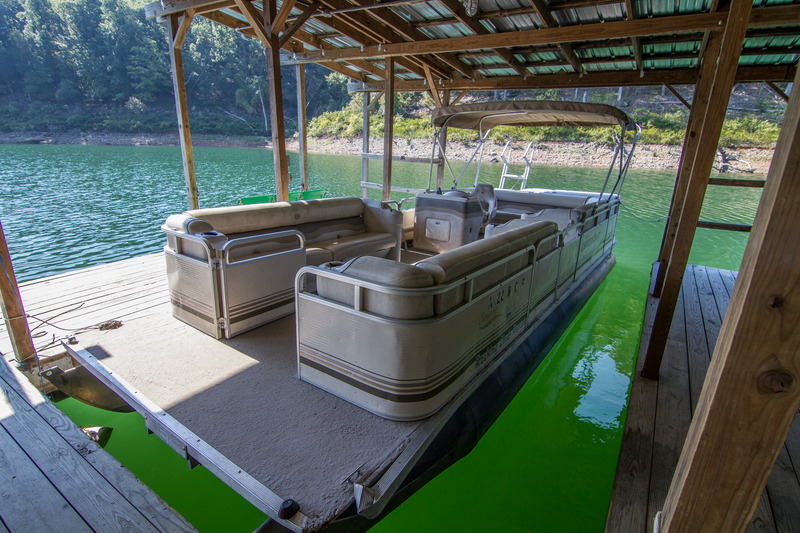 We even have free use of a 16-foot aluminum boat. 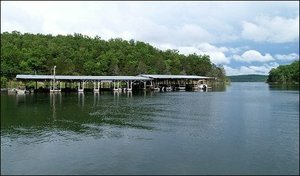 We have regular and pontoon-sized stalls large enough for wide boats. 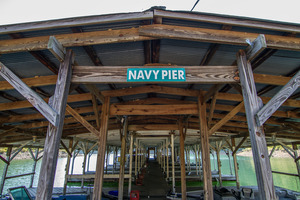 Right above the dock we have two parking lots providing plenty of space to park. You can also walk down to the dock from your cottage. 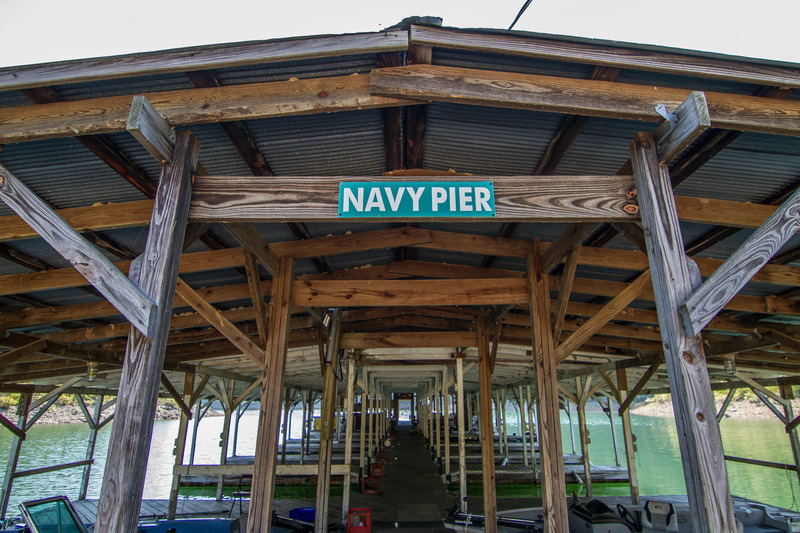 If you book a local fishing guide, they will pick you up at our dock in the morning, and bring you back at the end of your fishing trip. 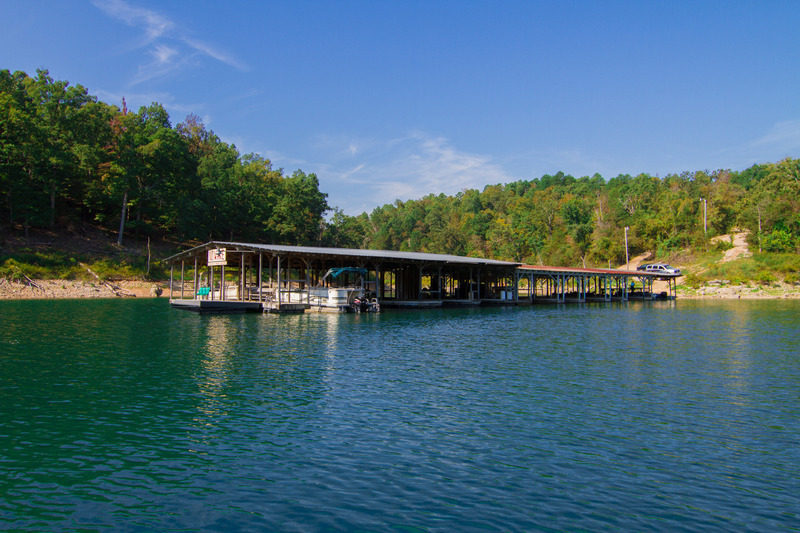 There are several full service marinas and several hard-surfaced launch accesses within a short boat/auto drive from our dock. At the Rocking Chair dock you can sunbathe and swim. 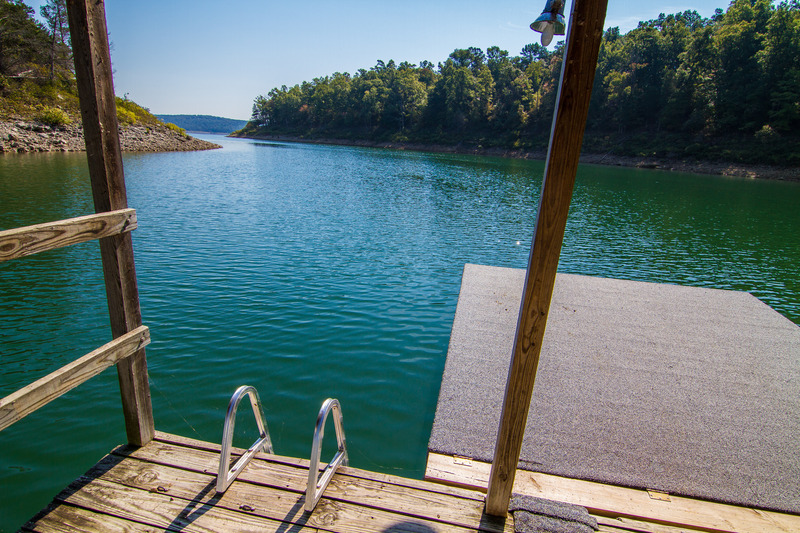 Our dock is complete with swim platform with ladder - bring the kids and enjoy a lake swim!